There are two very exciting events this July benefiting Make-A-Wish Philadelphia, Delaware and Susquehanna Valley. 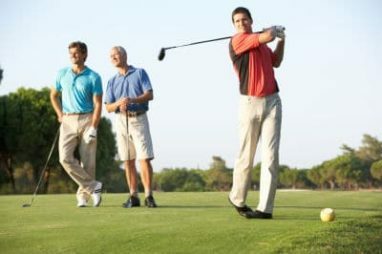 Don’t miss these family-fun events that everyone wants to join: the Philadelphia and Vicinity Club Managers’ Golf Classic and the Wear Your Wish River Run. The first six tournaments were held at six local golf clubs in South Jersey. The event had amazing turnout, but they felt they could do better. So they decided to relocate the event to the Philadelphia suburbs. The General Manager Paul Mauer volunteered the use of the nationally recognized Stonewall Golf Links. Managers, sponsors and other charity guests were so thrilled to play at the course that it soon because a tremendous success. The net proceeds continue to exceed their expectations raising more than $25,000 annually. To date this event has donated almost $400,000, which equals approximately 60 wishes. This fantastic event will be Monday July 16, 2016 at the Stonewall Golf Links. Registration and the brunch start at 8:30 a.m., with the classic shotgun start and 10:30 a.m. Once the round of golf is done there will be a wish reception and auction at 3:30 p.m. Don’t wait any longer and register today! If you are looking for a fun family 5k event, the Wear You Wish River Run is the perfect event. The event is July 16, 2016 at the Dravo Plazo-Wilmington Riverfront. They encourage all participants to dress up like their wish. Wishes fall into three categories: I wish to go (travel), I wish to be and I wish to meet. You can write on a shirt so people can read what your wish is, or you can get creative and wear a costume that shows your wish. This fun event begins with registration at 7:30 am and the start of the race being at 8:30 am. Included in your ticket you will get to enjoy breakfast refreshments, entertainment, games, raffles and appearances by the scrumptious local food trucks. Signup today for this fun event! Don’t Like To Golf Or Run? If the sand trap is more your friend then the green and your running shoes are dusty you can still make wishes come true. Do you have an unused vehicle that you don’t want to deal with the hassle of selling? Then you can donate it Wheels For Wishes. We offer free towing and pickup, so if your vehicle doesn’t run it’s not a problem, we got it covered. By donating your vehicle you will get a great tax deduction and make children’s wishes come true at the same time. We make the donation process easy all you need to do is fill out the online donation form or you can call 1-877-431-9474. Don’t let that unused car sit around any longer, and donate it today!